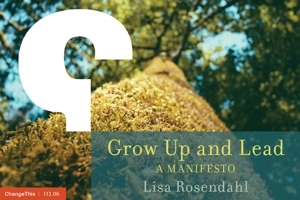 Lisa Rosendahl — Forced Out? I asked his permission to bring on a temp to help cover the phones and file and was denied. A week later, he said that he was tired of hearing complaints about my office being closed (not that I'm not there, but that I am doing my job elsewhere in the building). I tried reminding him that I had asked for help, and was denied. That same day, he emailed the former HR Director that I am "not happy" and that I am "not a good representative for HR" and that I needed to find work elsewhere. I am assuming the former HR Director reminded him that one person supporting 500 people is preposterous and to give me a break. So his solution (thankfully by email so I have proof) that his Administrative Assistant is my immediate supervisor and I am to call her anytime I am to leave my desk and tell her where I am going (presumably to include going to the bathroom). I feel like this might fall under the area of constructive discharge, when I am forced to "report to" an admin assistant, when my job description requires that I use a great deal of judgment and decision-making in my job. Not to mention the potential racial discrimination. What do you think? First off, 1 HR staff person to support 550 employees is unreasonable. Yes, even preposterous. That aside, I picture a tornado as I read this. I see a situation that gets worse and worse with each twisted communication. It is spinning out of control and it needs to be stopped - by you. There is clearly a lack of direct communication between you and the CEO. Your information is coming to you third hand (and in the midst of some pretty strong emotions.) The CEO appears to be a real jerk, and maybe even a racially biased one at that, but I caution you against taking what you are hearing as facts and as the whole story. Before you react, I encourage you to seek out the rest of the story; there is always another side. Where does the VP of HR fall into this? Does he/she report directly to the CEO? Is this a matrix organization? I am wondering who, absent an incumbent HR Director, would be in the best position to supervise you? Does that fall to the CEO? When the CEO used the word "supervisor" regarding his Administrative Assistant, was he addressing performance evaluations, etc. or someone who would know about your whereabouts? If there are complaints about your office being closed, it would help you, and your CEO, to have someone able to communicate your whereabouts, provide customers with information about when you are expected to return, and take messages for you. Maybe, just maybe, this can be to your advantage. I encourage you to take a deep breathe, put the emotions aside (yes, easier said than done) and list out the the things that are driving you crazy. Ask yourself these questions: why is it irritating; for what business reason might the CEO be making the decisions he has made; what would you request be done differently; what are you willing to do differently; and how can you help the CEO and the business. If the first answer is, " because, I don't like it," or "because he doesn't like me," ask yourself again, and again, to get past initial gut reactions. Constructive discharge? Maybe, maybe not and you owe it to yourself to seek out good, solid information. A face to face conversation really can make a difference and there are times when I sure wished I had spoken with a person much sooner than I did. More talking, less spinning. Good people often find themselves in bad workplaces and you may have landed right in the middle of an impossible situation. It may very well be that this is not the place for you, for your own well-being. Let me know how it goes.